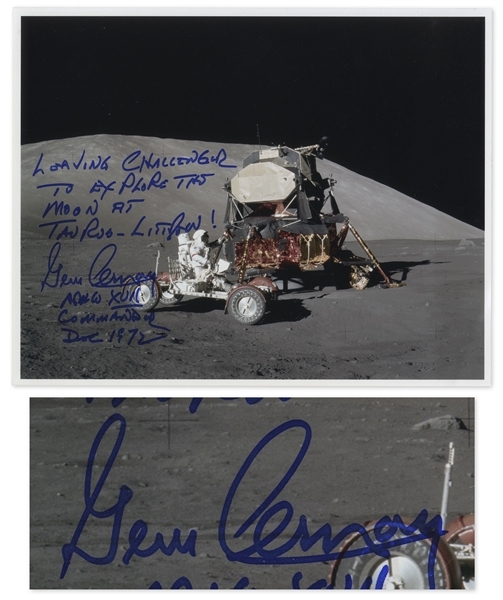 Gene Cernan signed 10'' x 8'' photo of him aboard the Lunar Rover during the Apollo 17 mission. 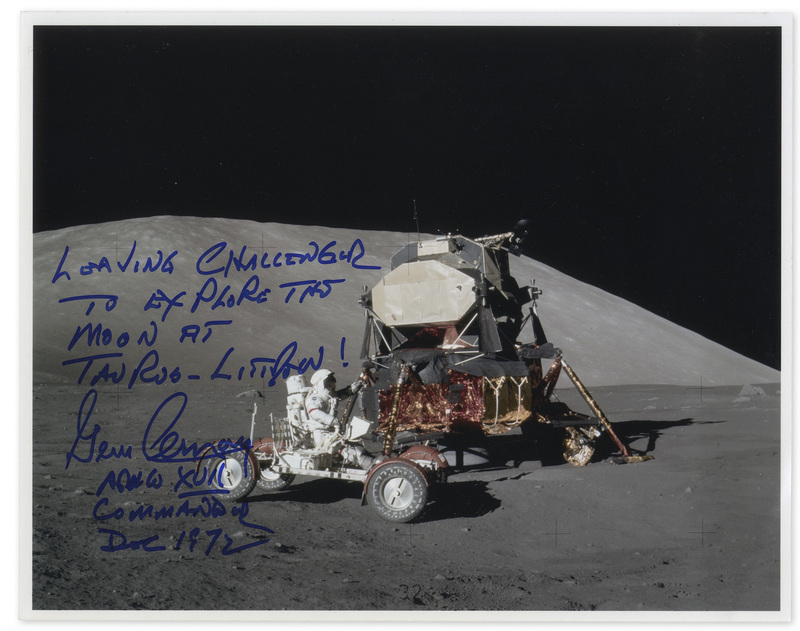 Cernan handwrites on blue felt-tip, ''Leaving Challenger to Explore the Moon at Taurus-Littrow! / Gene Cernan / Apollo XVII / Commander / Dec 1972''. Silk-finish photo is printed on Kodak Endura paper with NASA stamp on verso identifying the photo, ''N-AS17-147-22527''. Near fine condition.